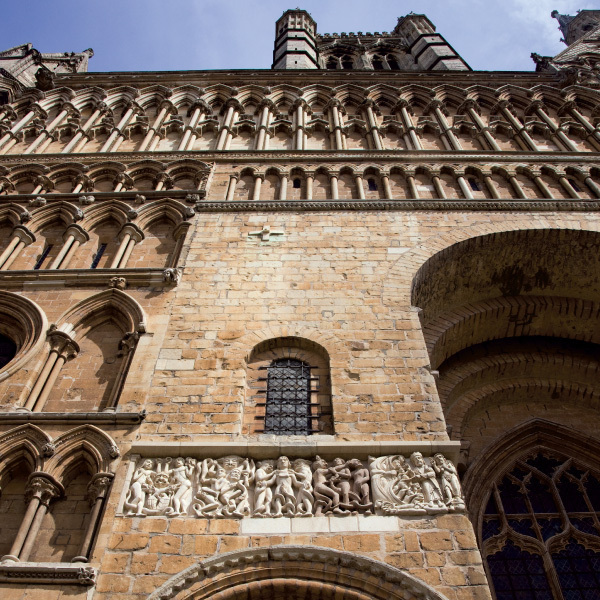 These replica carved frieze panels sit on the West front of Lincoln Cathedral. The panels were carved and fixed from the mid 1990s to 2001. 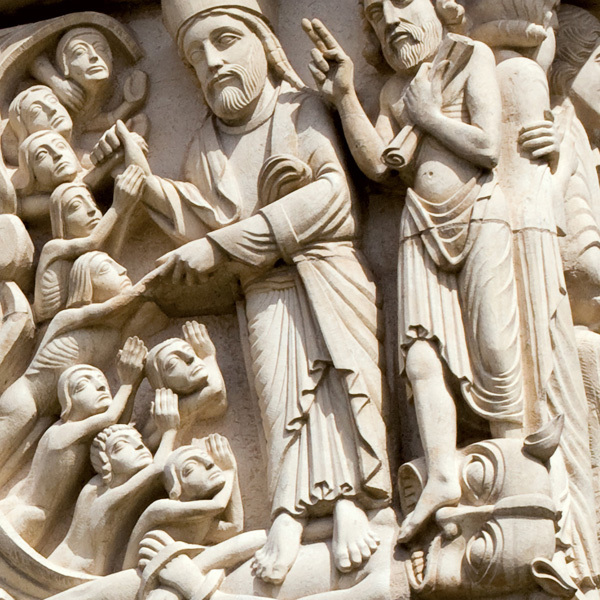 The original frieze panels (with one replica carving) have been on display in the Cathedral since 2008. At James Helsam’s bequest, ‘every seventh calendar year the Trustees are to pay the income, not otherwise spent under the main objects of the Trust, to the Dean and Chapter of Lincoln Cathedral as a contribution to the Fabric Fund’. Funding for this project has come from numerous sources and work was not continuous during the renovation period. Up to the year 1999 the Heslam Trust had contributed towards the conservation of the northern run of the Romanesque Frieze (West Front). Contribution made by the Heslam Trust, 1997.